Six Twenty Seven: Bring it On! 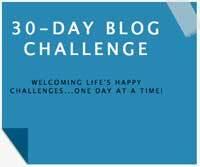 My girlfriend SexyandtheChi announced she'd be participating in a 30 day blogging challenge and I've hopped on board as well. While I typically have stuff posting everyday, I don't always write every day (thank God for being able to schedule posts) so this will really challenge me to write about something personal on a daily basis.